In the heart of Philadelphia, Danielle and Franco started their new life together in the historic Masonic Temple. They had a beautiful traditional ceremony in the temple and then traveled though Center City to the reception. 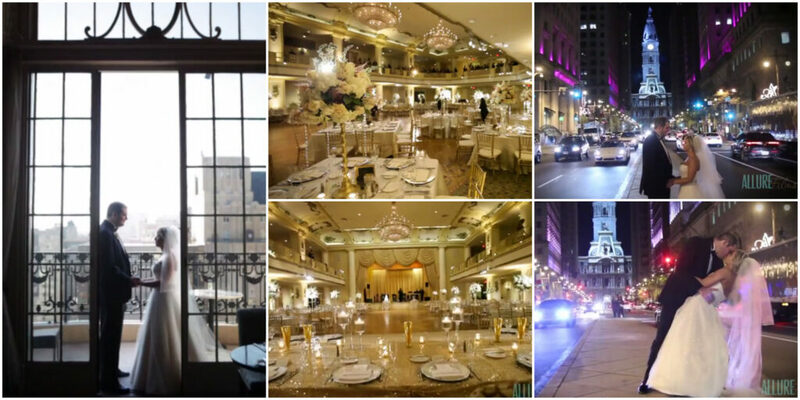 Continuing the celebration, the newlyweds joined their guests at the extraordinary Bellevue Hotel Philadelphia. 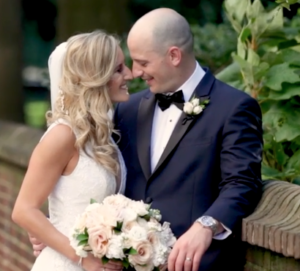 Our Allure Films team was grateful to capture many moments like this throughout the day. Tyler Boye Photography also joined us side-by-side to photograph the happy couple. With the help of the entertaining Jellyroll band, it was easy to film the day’s excitement. We’re so happy to see Danielle and Franco start their lives together. Congratulations to the happy couple! The Allure Films team was thrilled to join Carly and Louis for their special day at the Hyatt At The Bellevue! The day was filled with smiles, laughter, and lots of love that could be felt by everyone in attendance. 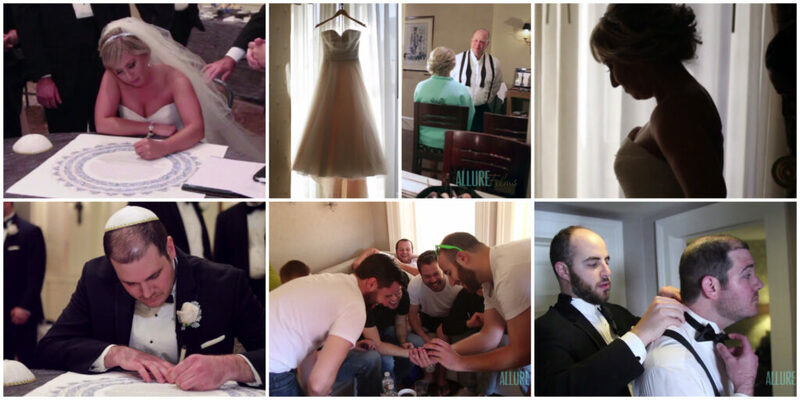 As the bride and groom got ready to recite their vows, the Allure team captured several heartfelt moments, from the first time Carly’s dad saw his daughter in her wedding dress to Louis’ smile as he read a special card from his future wife. The Bellevue’s rooftop venue, XIX and the Rose Ballroom, provided a stunning backdrop for the happy couple. Evantine Design did not disappoint with the flawless décor, and CTO Tribeca kept the entire room dancing all night long. As Allure Films continued to capture breathtaking footage of the night’s festivities, our good friends at Philip Gabriel Photography snapped photo after photo of the bride and groom stealing kisses, guests laughing, and even grandparents joining in for a dance or two! What a fun-filled evening this turned out to be! Enjoy this sneak peek into Carly and Louis’ special day, and congratulations to the newlyweds! During our initial meetings with Hallie and Sam, it was clear that they felt the exact same way. 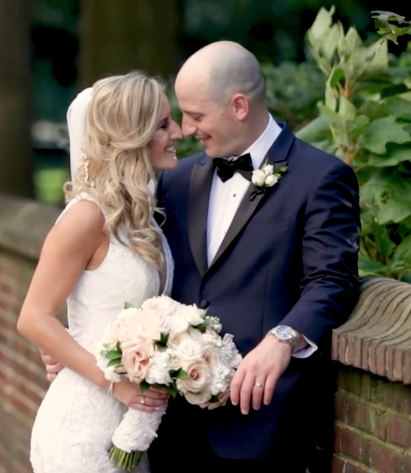 They were thrilled to have the Allure team there to film their Hyatt at The Bellevue wedding, and wanted to make sure we would be there extra early to film all of those touching moments leading up to their walk down the aisle. The weather couldn’t have been more perfect when we arrived in Philadelphia on that gorgeous October day. Our crew ventured off to meet up with Hallie and Sam in their rooms as they got ready for the big day. So many wonderful moments were caught on film that morning. As the beautiful wedding dress hung in the background, we followed the bride and her family around as they helped each other get ready. The way that Hallie’s dad looked on as his daughter’s hair and makeup were done was truly touching. Our videographers also captured Sam hanging out with his groomsmen, sharing funny stories and laughing at memories captured on their phones as they put on their tuxedoes and fastened their bow ties. It’s these candid moments, caught on camera by Allure Films, that the bride and groom will cherish forever. They truly make each wedding video unique! With the entire bridal party dressed to the nines, we ventured down to the ceremony hall. The traditional Jewish ceremony was held under a gorgeous huppah. The floral arrangements, provided by Carl Alan Floral Designs, were out of this world. 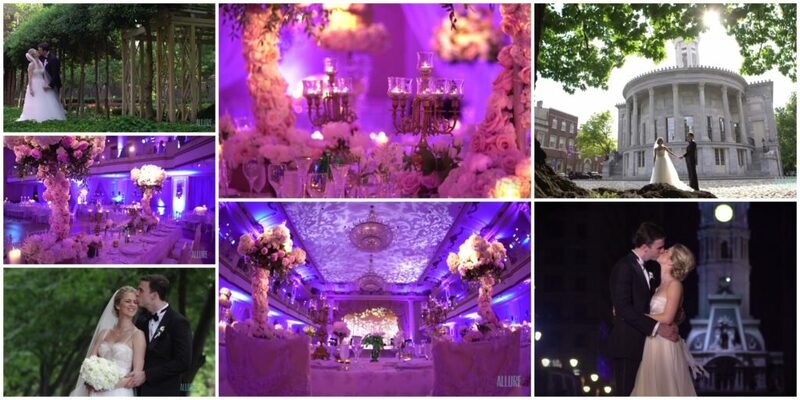 They truly transformed the ceremony and reception halls into incredibly stunning spaces. It was truly a pleasure to document Hallie and Sam’s wedding day. We got to be a part of so many unforgettable moments. Congratulations, Hallie and Sam! Click here for more information on Allure Films’ comprehensive wedding videography packages!